Inheritance is a strange thing. Sometimes one can even dream of it. For example, one day you may find out that you have an aunt, leaving you a few billion dollars and a world-famous hotel chain. However, there is also one other special type of more “weighty” heritages. If you father’s last will for you is to take on the family store for ski accessories, located in South Sahara, then you’re really screwed. It’s not easy to be the second phone that bears the name of PRADA either. The first model has become a pillar of style, but things have changed significantly since it has hit the market two years ago. It is now hard to survive on looks alone, you have to be multifunctional in order to meet the requirements of today’s users. 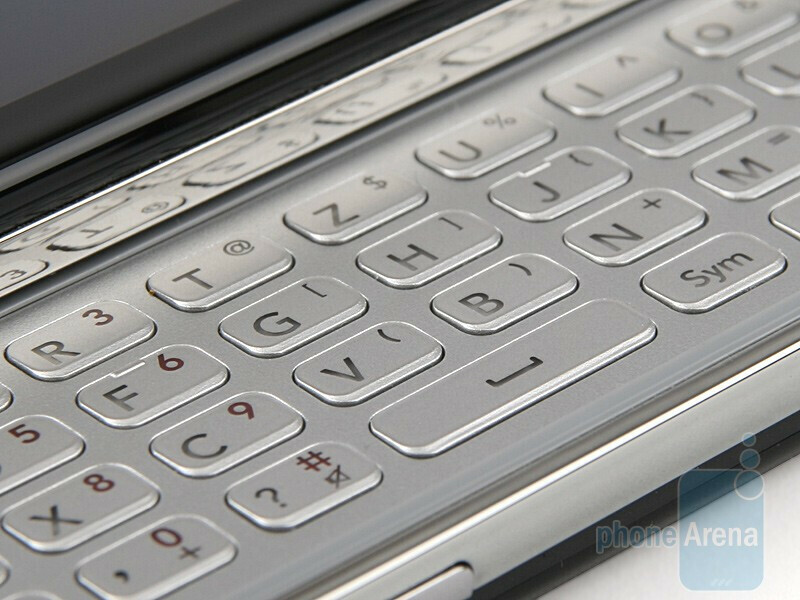 That’s why the PRADA II comes equipped with features such as a multi-touch screen, a full QWERTY keyboard and a 5-megapixel camera. But will it manage to satisfy the higher standard for style? 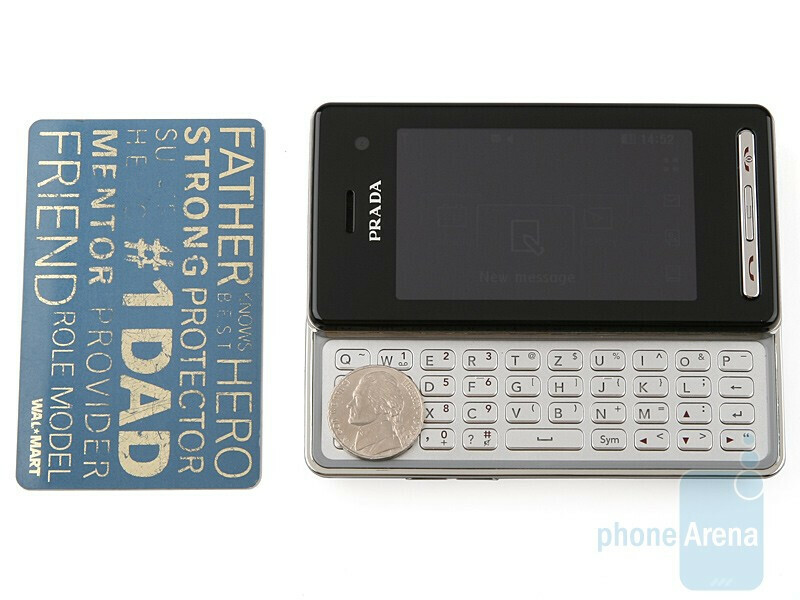 The phone comes packaged similarly to its predecessor – the box issmall, leather-coated and decorated only with a PRADA inscription. Inside, besides the phone, you will find a charger, data cable, User Manual, Software CD, headphones, leather case and a piece of cloth for cleaning the display. 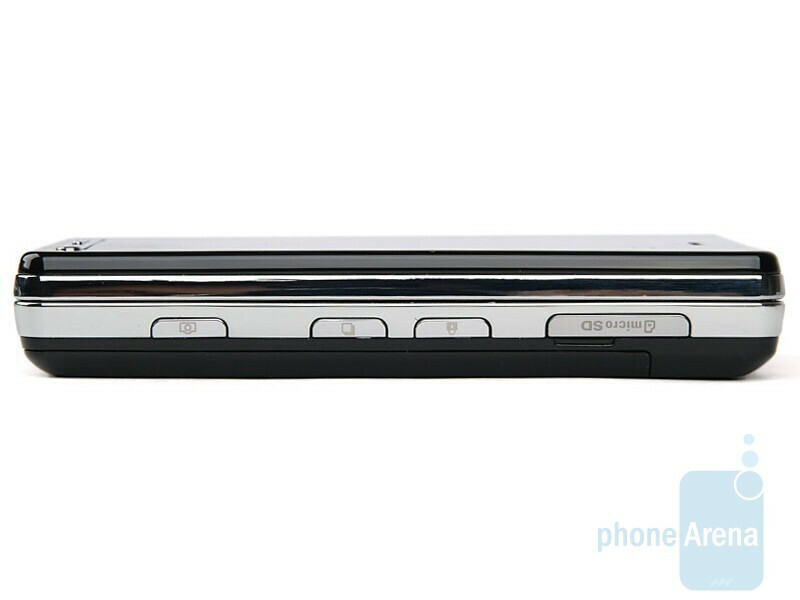 As a whole, the package looks good, but it lacks some classy accessories, such as the charging stand bundled with the Nokia 8800 Arte. The leather case is quality made and doesn’t impede you to take the phone out, but when it’s inside, you can hardly hear it ring. Once outside the leather coat, the PRADA II inevitably causes reactions like “Geez, it’s thick!” or “Well, it looks pretty much the same as the previous one (but it’s thick).” Indeed, it really looks like its predecessor has been on a protein diet during the last two years. This has led to keeping the same overall appearance (black, with a silver line), but has also added 4.7 millimeters to the thickness and 4.5 oz to the weight. 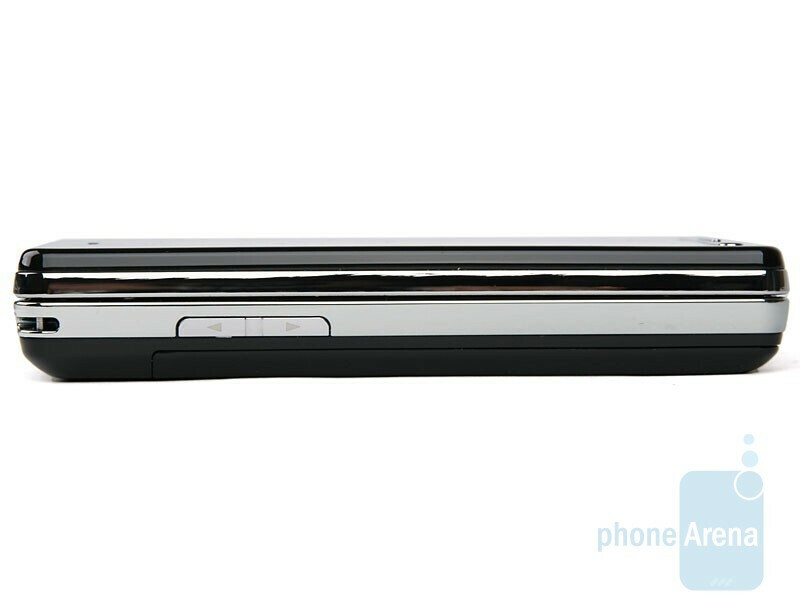 As a whole, it is fairly notable in a pocket, similarly to the HTC Touch Pro. You can compare the LG PRADA II with many other phones using our Size Visualization Tool. Here, we want to make a little break and address a message to LG. 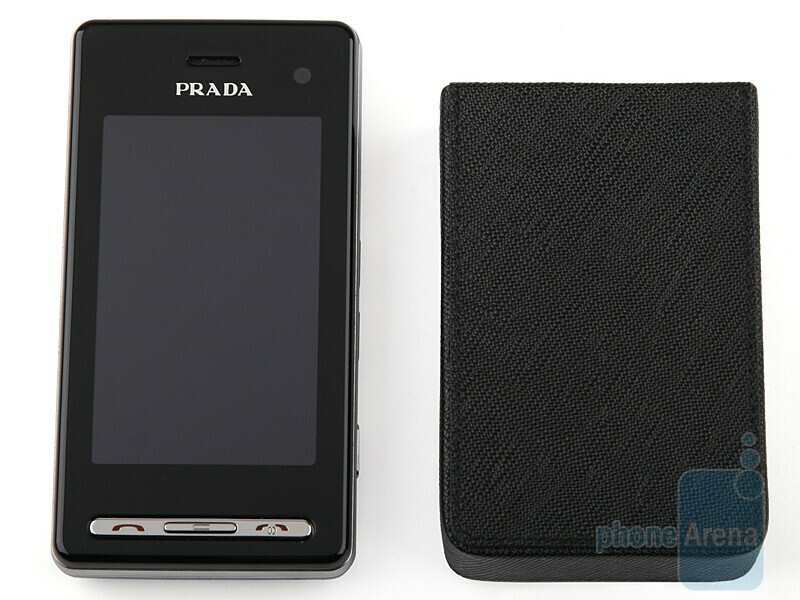 It is like this: “Gentlemen (and ladies), in 2007 you’ve released the PRADA with a 3-inch screen and a resolution of 240x400 pixels and this was really good for its time. 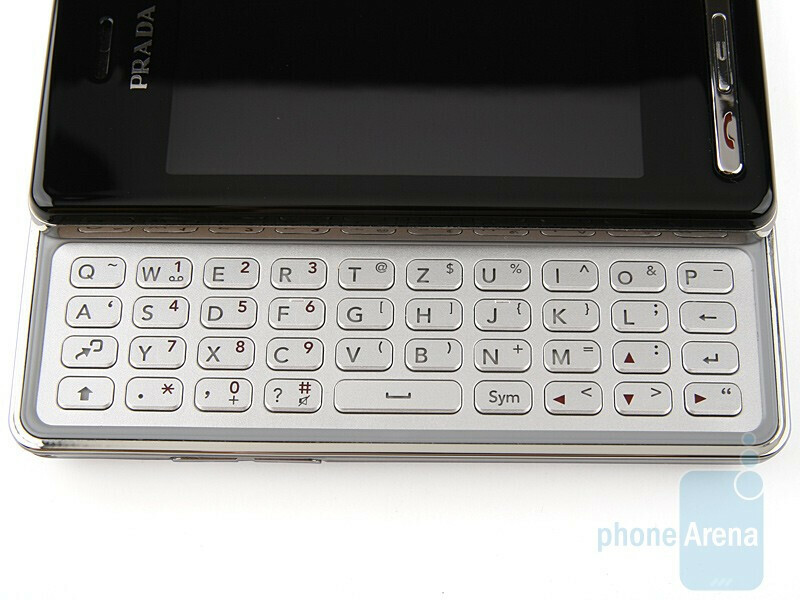 It is now 2009, and the characteristics of PRADA II’s display are the same. Now, this isn’t nice.” Indeed, the manufacturer has tried to compensate it by adding the multi-touch technology (the use of which is questionable) and increased sensitivity. However, we aren’t pleased with the image quality. 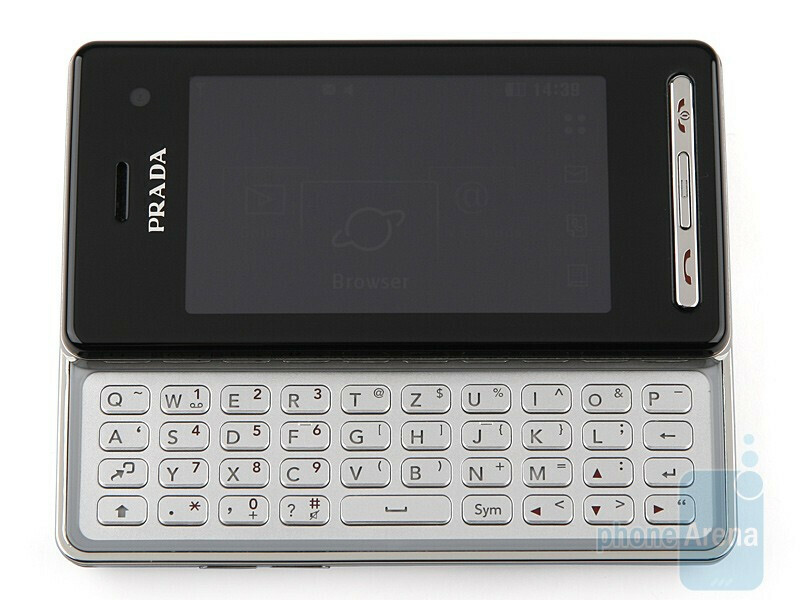 In comparison with 16 million color phones like the iPhone and the E71, what you see on PRADA II’s screen is not sharp enough. In contrast to the first model, this one has 3G and respectively an additional camera for video conversations right above the display. The send and end keys, along with the back key have maintained their previous positions and although we rarely had to use them, we have to note that they are pretty handy. We can say the same about the full QWERTY keyboard. The keys are nicely shaped and their size is very appropriate so that you can press them without any difficulties. Do not worry about the key arrangement that you see on our images; it is such because the unit that we’ve reviewed has been targeted for the German market and uses the QWERTZ standard. Since the keyboard is 4 rows it doesn’t have an additional row for the numbers, that’s why they are positioned as in an ordinary phone. Hopefully, the rest of the keys are arranged as in a normal computer keyboard and are easy to get used to. As a whole, this element of the handset is so good that we could excuse it for making the whole device bigger and weightier. However, we have great remarks about the slider mechanism. It creaks and rattles and as a whole gives the impression of something unstable, which doesn’t suit a fashion-oriented phone that bears the PRADA brand at all. The keys on the sides have also madean unpleasant impression, since they have a very weak tactile feedback and are hard to press. The only thing that you can find on the left is the volume rocker, and on the right is the lock/unlock key, the key for the shortcuts menu and the camera shutter. 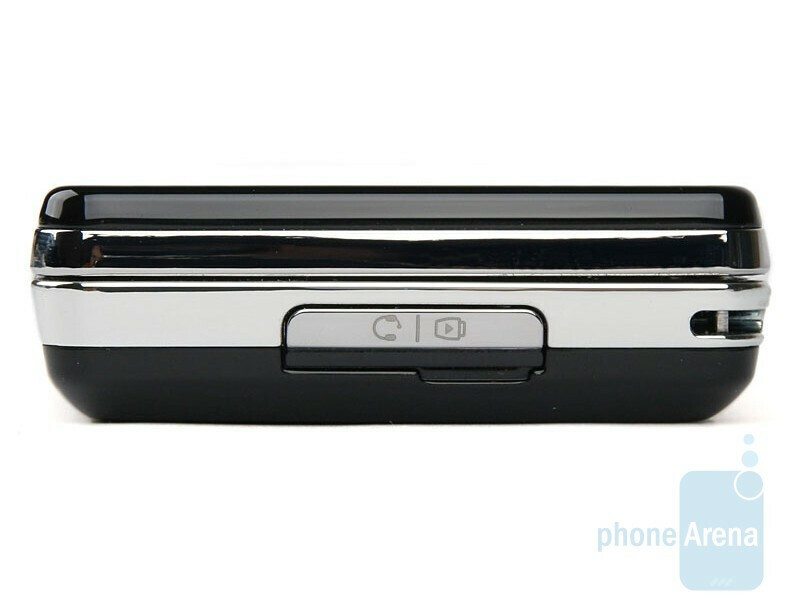 On the same side you will also find the microSD card slot, and the charger connector is on the top. 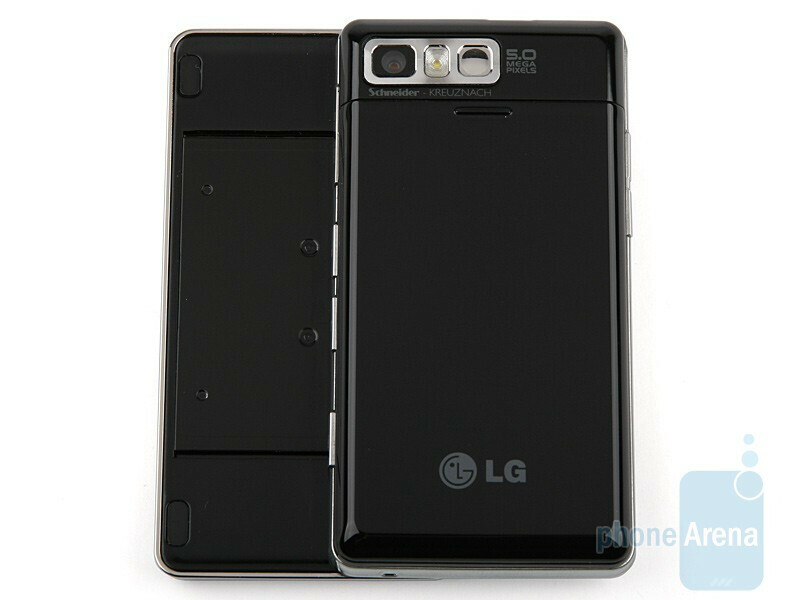 Unfortunately, LG persists in not placing the standard microUSB port on its phones. 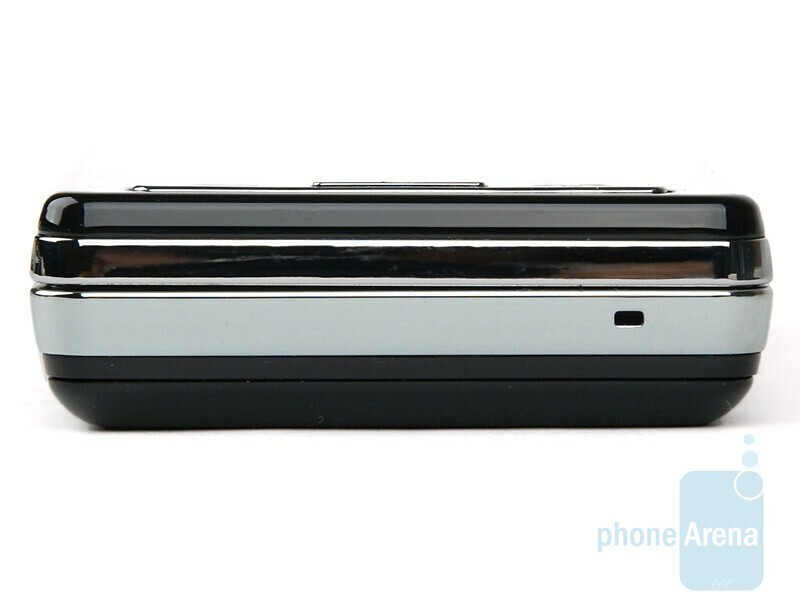 We have to note that the battery lid can be removed extremely easy. So easily that it eventually stays in the leather case as you’re taking the phone out. In addition, be prepared for a lot of wiping with the cloth, since the whole phone is one big fingerprint magnet. As a whole, we aren’t impressed by PRADA II’s design. It totally lacks the “WOW” effect. It keeps the overall stylish appearance, but it’s too thick, and the build quality (especially of the slider) does not deserve to bear the name of the Italian fashion house.